In the UK, The VoiceOverNetwork sponsors educational events such as this one on animation in March. Speakers were Dave Peacock, Dian Perry and Keith Wickham. 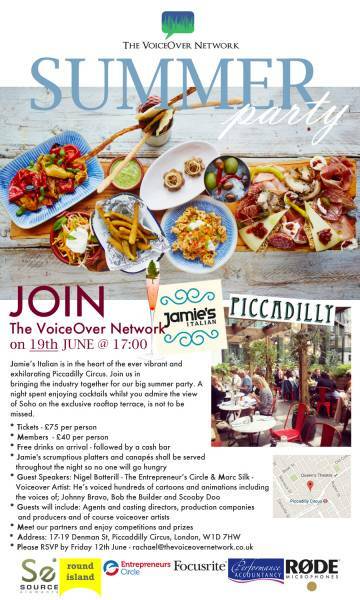 Editor's note: The VoiceOver Network's Big Summer Party is this Friday, June 19, in London's Piccadilly, on a rooftop terrace overlooking Soho, featuring networking and top speakers. For details about a few remaining tickets, please click here. Two years ago is when it all started. I went for a drink with three other voiceover artists and found the evening incredibly useful. I had seen how proactive the voiceover community is in the States and wondered why we didn’t have more going on here in the UK. I set about organising small monthly drinks for voiceover artists to meet up, network, talk shop, swap ideas, get advice etc. It grew very fast - in fact it snowballed and in January 2014, The VoiceOver Network was born. 2014 was a fun year for the organisation, and it went from a few people meeting up in a bar to a big summer party with lots of agents, producers and production companies. 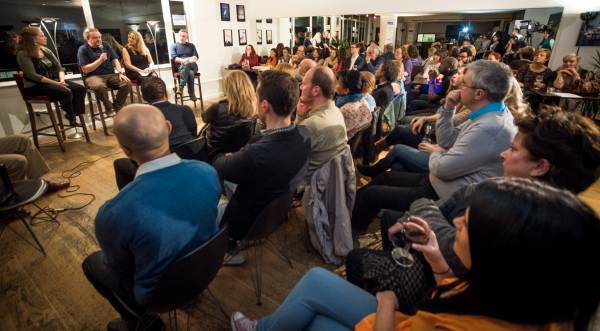 I started introducing speakers at our events, which was hugely popular, and the events started selling out very fast. Our October event sold out in less than 90 minutes! At the end of 2014 I decided that although The VoiceOver Network was a fun, useful and brilliant community of voiceover artists, I wanted to do more for the industry. Here in the UK we have a union called Equity and there are a handful of courses and coaches for voiceover artists, but there wasn’t a main hub specifically for voiceover artists - a place where voiceover artists of all levels could come to connect, network, learn, help, be inspired and inspire others. 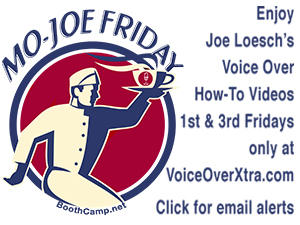 I am, like most voiceover artists, concerned that it is easier now than ever before for anyone to call themselves a voiceover artist without the proper training, knowledge or support. There is little going on to help regulate the industry, ensuring that artists are looked after and paid well and that clients are getting what they paid for. It’s an exciting time in our industry, and I believe that there are more opportunities for us voiceover artists now than there have ever been before. The world is our oyster, and like most other voiceover artists, I have clients all over the world. The industry is changing and whether we like it or not, as VO artists we have to become more business minded and grow with the times. Knowing about marketing, social media, networking, etc., as well as keeping up to date with all the changes in technology, is so important. 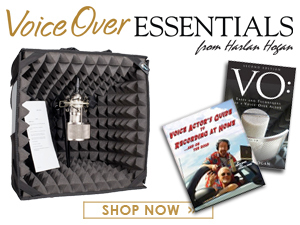 It’s now as important as keeping your voice in check and making sure that you are training and learning new voiceover skills all the time, too. We have been asked before why we charge a small membership fee, and the truth is, we simply have to, in order for us to arrange the networking events, workshops, spend time researching, speaking to industry folk and equipment suppliers, etc. However, the drive and purpose of The VoiceOver Network is to help, support and strengthen the industry - and this is at the core of everything we do. 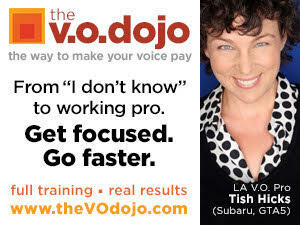 The VoiceOver Network is just getting started, but we are dedicated to helping the industry. So, this is where The VoiceOver Network has come from. I wanted to share with you why I have started it and why it’s changed from just a fun little get-together to something that is now helping a lot of people and is bringing the industry together. It’s also not just for voiceover artists. Agents, producers and casting directors have also joined since they believe as I do, that in a growing industry it is important to work together - and in our knowledge and numbers comes strength. Our next event, the Big VOND Summer Party, is open to members and non-members and it’s going to be a brilliant evening. It’s on Friday 19th June in Central London at the Brilliant Jamie’s Italian in Piccadilly. There is a lovely rooftop terrace looking out over Soho and our wonderful speakers include the incredibly talented cartoon and animation voiceover legend Marc Silk, as well as one of the UK’s most successful entrepreneurs, Nigel Botterill, sharing some very valuable business insights and helping to inspire us. If you are in the UK and would like to come, we still have a handful of tickets left (please click here for details). Rachael Naylor is an experienced London-based voice over artist, actress, writer and award-winning entrepreneur. She works with clients all over the world, including The Travel Channel, Olay, Sure, Nestle, Persil, Channel 5, Virgin Media, BMW and many more. She also runs The VoiceOver Network, a company that is all about helping, supporting and strengthening the voiceover industry through industry events, workshops, The Buzz magazine, and much more. 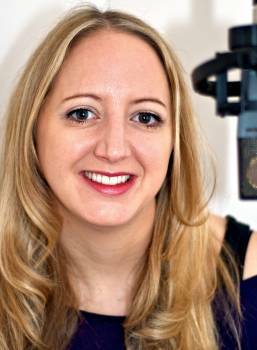 Rachael was also proclaimed 'Entrepreneur of the Year 2014' for London and the South for work she has done with The VoiceOver Network and her voiceover business. Hi Ian, I'm sorry you missed the Summer Party. We have our next VOND event on 31st July 'Voiceovers from a producers point of view,' which will be at Maple Street Studio's. Send me an e-mail - rachael@thevoiceovernetwork.co.uk . It's going to be another brilliant event. awwww. I would love to have come to the party, but not arriving in the UK until the end of July. I have 3 days in London, then up to the NW for 2 weeks with family, then back to the USA. Any events going on between 24 July and 11 August?